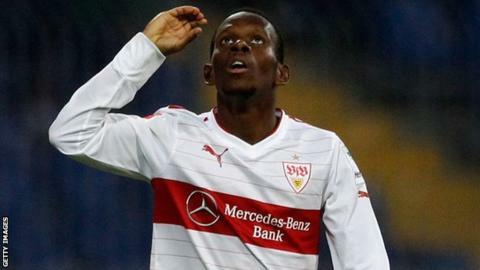 Stuttgart and Guinea winger Ibrahima Traore has revealed he turned down a number of offers to move to the Premier League in the summer. The 25 year-old has played in Germany for the last seven years and joined Stuttgart in May 2011. "I got offers in the summer from many English teams," Traore told BBC Sport. "The Premier League is the best league in the world, everybody is attracted by the league, that's normal. But I feel good at Stuttgart." Traore has made over 50 appearances for Stuttgart in the Bundesliga and has scored six goals. He added: "I feel good in Germany and I think I like the German league more than the English Premier League so that's why I didn't consider this interest." However, his contract at Stuttgart is due to run out at the end of the season and he refused to rule out a move to England in the future. "We never know what happens in football, every player wants to play at some point in England but at the moment I'm good in Germany, for the moment I want to stay here," Traore said. "Of course it's flattering to know I've got to the opportunity to go in the league where everyone wants to go. "Not in one or two teams but many teams. Of course that's a big compliment for me, that's a big achievement, it shows we've worked well in these last few years. "But at the moment the Bundesliga is where I want to be."